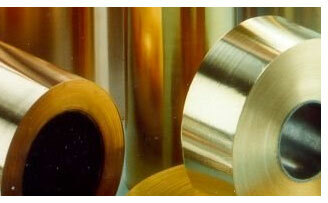 A precious metal is referred to as a metal that is rare, economically valuable and occurs naturally. Gold, silver, and platinum have all through history been regarded as precious metals, naturally occurring that are also seldom found in the Earth’s crust. That is what makes them rare metals that are of high value. On the other hand, copper is not a precious metal in the real sense of the world like gold. But it’s becoming one these days due to causes driven by market conditions. For instance, the economic slowdown in recent years has led to many mining companies like Anglo American Plc and Glencore Plc selling off most of their assets from coal and iron ore to agricultural assets for the sole reason as to pay off their mounting debts. These companies also have significant copper mines which they have not disposed of nor have plans to do so. HOW COPPER TURNED INTO A PRECIOUS METAL? Reports reveal that due to tough economic conditions prevailing across the world leading to slack sales, miners are said to be selling everything from iron ore to coal barring copper resources which they consider as a precious metal that will bring them enormous gains later. ROUT OF COMMODITY PRICES: The stock markets across the world have undergone tough times in recent years (especially post the year 2008) with near-total rout of commodity prices. This, in turn, has pushed top mining companies like Anglo American Plc and Glencore Plc to sell almost everything they have from iron ore and coal to agricultural assets and use the amount to pay back debts that have been building up and ballooning. However, these companies have not parted with their best of copper resources which they term as a gold mine and a metal that is expected to be in extreme demand by end of this decade. By holding back copper resources, they believe they can sell later after the decade and make better money. PROSPECT OF SHORTAGE: Miners anticipate the extreme shortage of copper by the end of this decade fuelled by tapering of investment which in turn has held back their plans to open new mines. And those who can afford to invest are doing so by asking for interest to be repaid back with the amount later. BENEFIT OF CURRENCY EFFECT: Currently copper is also feeling the benefit of currency effect wherein central banks across the world have been printing trillions of paper bills to help reactivate their economies. This, in turn, has fuelled a rise in the prices of gold, silver, and copper, making them precious. Today, copper along with coins and bars are all considered as legitimate investment options that make for good investment from the future point of view. SIGNIFICANT FUTURE DEMAND: Due to significant demand worldwide that continues to remain quite steady despite declining economic conditions, copper metal has outpaced most higher-profile precious metals by a significant margin. The price of copper is being anticipated to rise in coming years as experts foresee greater demand for copper in years ahead when the global economy will again begin to rise. In addition to high-quality copper sheets, Bhagyanagar India Ltd also provides for high-class copper busbar that confirms to ISO 9001 standards, indicating its extremely high quality and performance caliber.